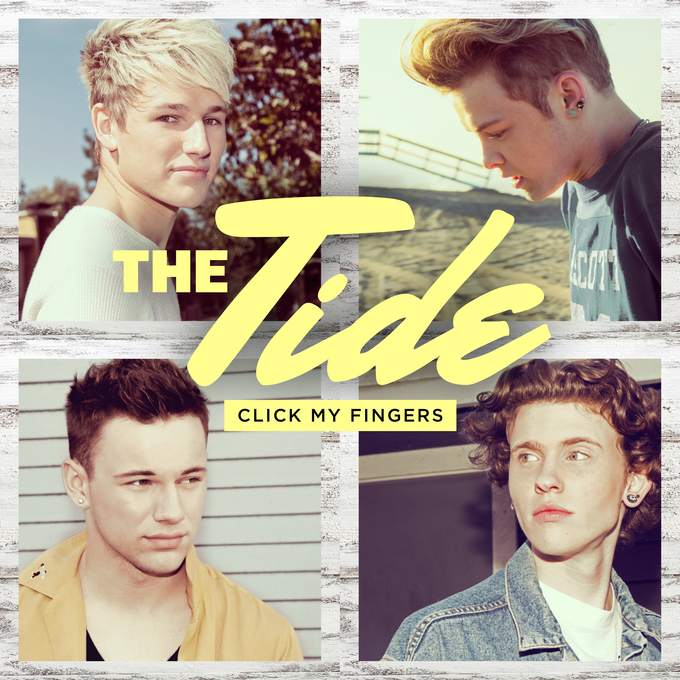 We first introduced you to new US-based boyband The Tide back in April this year when they dropped their debut single ‘Young Love’. At the time, the boys (Austin, Levi, Drew and Nate) had been developing a bit of a following fresh from supporting UK boyband The Vamps on their global tour. The band was also created by The Vamps’ team and are signed to The Vamps’ own label. Now they’re back with what their label is calling their “first official single” (i.e. the one they hope will be the one to break them across the planet). As you’ll hear from the one minute clip below, it’s got the perfect boyband formula; four good looking young men singing about romancing and cherishing their laydees, thus making them swoon, thus bagging a sale, thus helping the single’s chances at radio, thus helping it sell more, thus helping them become the next hottest boyband. And let’s face it, with 1D out of the picture for the time being, the time is night for a bunch of new kids on the boyband block to have their time in the sun.